How do I find the right wool / Yarn for my punch needle? Try out whatever wool you have at home. 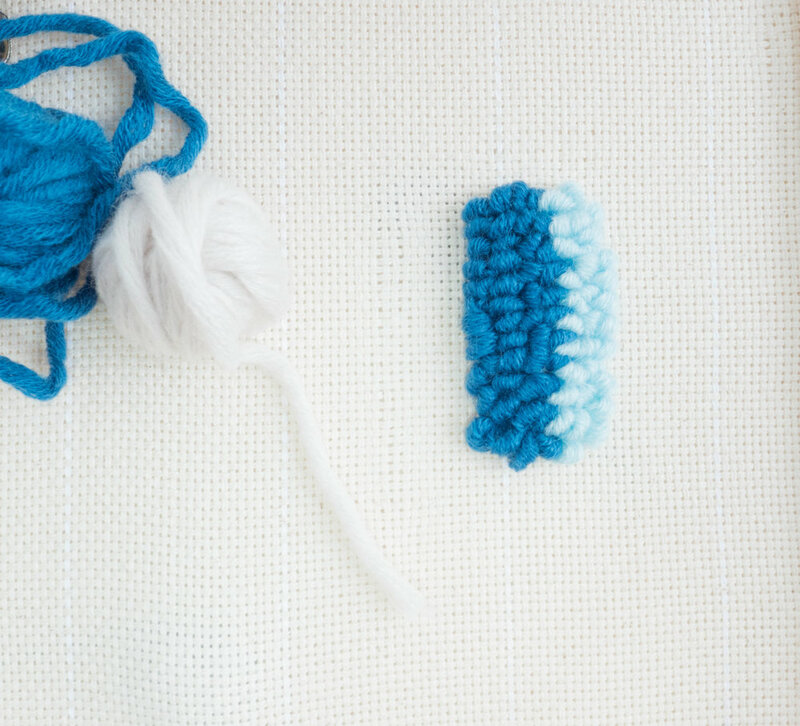 A rule of thumb is that the yarn can be as thick as the punch needle itself. If you only have thinner yarns, you can also double or triple the threads. Regular: The regular needle works well with heavier yarn and knitting wool. I recommend wool that is suitable for knitting needles between 6 and 8 mm and measures between 100-130m/100g. The wool available in my shop is suitable for regular needles. Fine: The fine needles are used with finer yarn, such as worsted weight. You can use wool that is recommended for 4.5 to 5.5 mm knitting needles and measures between 120-200m/100g. You can find some suitable yarn in my shop. I recommend starting out with #9 or #10 regular because it will give you a nice result more quickly. myboshi No 1 yarn available at The Joyful Punch.